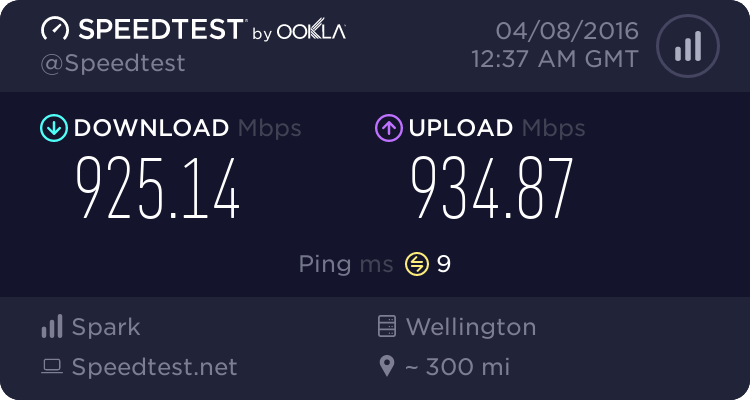 I lurked around here and WiFi forums for a while before deciding to get a Linksys WRT54GS wireless router to connect to the brother in laws Telstraclear cable modem. His daughter has just got an Acer Laptop (Vista Home Premium)and wants to be able to connect to the internet from her room. The cable modem is in another room by the main computer (XP). The initial setup with the SET UP Wizard on the CD did not work nor did the manual connection method of trying to connect to the router address with firefox but many hours later I found and downloaded EasyConnect from the Linksys site and followed instructions and it detected every thing and I managed to set up a wireless network with approrpriate security settings. Awesome. I could also access the Internet via an ethernet cable to the router from the main computer. The laptop detected the router wireless and connected (after putting in the right WEP) Fired up the browser and connected to the internet. Download some files and all was well for about 40mins. Then the internet connection was lost both at the laptop and main computer. I had removed AVG from the main computer before the configuration as I read that the router configuration may be problematic with it installed. I noticed that Easy Connect sets the main computer LAN to "Obtain an IP Address Automatically" which is different from the manual addresses etc selection I had in before. I am not sure if the main computer was set this way before but unless it is then you can't connect to the internet when the modem is directly connected. I have the same Cable Modem and my adresses etc are manually configured. I uninstalled AVG but it made no difference. I forgot to check the Windows Firewall connection but will do so tomorrow. Do you have the ip address, gateway and dns server addresses as supplied by TCL for the connection. The irony is I now have a connection from the laptop to the internet via wireless but the main computer won't connect. So the PC has gateway address of 192.168.1.1 plus DNS address(es) also, either router address of 192.168.1.1 or TCL DNS addresses. Try TCL addresses if currently using router address for DNS. I have nothing in the gateway for the PC just the IP I put in so I could get the browser to connect to the router address. You have to have a gateway address (being the address of the router) in the PC otherwise the PC can't find any addresses outside the local subnet. The laptop is connected to the router. The laptop said it was acquiring an IP address(I assume from the router) hence the laptop WLAN can connect to the internet. THe PC can connect to the router as I have a router address -( one of the 4 routers ethernet ports I assume ) listed in the IP address of the PC LAN. However as I don't have the router gateway address I can't get past the router itself. Also would enabling DCHP in the router and changing the PC to automatic allocation of IP rather than manually putting in the router address work? i.e the PC would be connected to the router. I did as I said and set the DCHP in the router to enable and the PC to automatic IP address and it acquired the address from the router and I was able to access the internet. At the same time the laptop was able to be connected via the wireless to the router and access the Internet but connection to the Internet is patchy. You have to unplug the router and replug as its seems the connection with the cable modem falls over very fast although all the LEDs on the router are still lit. Would it be the cable modem excess ARP tripping out the router? There is still connection to the network just no connection to the Internet? IS it worth contactiong TCL to check out the line and modem? Thanks for all the ideas so far. Not sure what made you get a WRT54GS but can I suggest you take it back from where you got it and get something else. Lots of people (including myself) have had issues with the WRT54 series for routers and Telstra cable. From when I was having the issues I found nothing that fixed the internet connection from dropping out randomly. That being said I have a Linksys WRT54GL running DD-WRT and it hasn't missed a beat ever.... I do get dropped from the internet, but that is when TCL is having problems, as per my above post. I got a WRT54G as I saw positive comments here from some people as to it working with TelstraClear modems. I may have misread the GL for G.
I have tried it at Kelburn address and get the same problems. I will try a firmware upgrade to the latest version and see what happens. The first WRT54G was brilliant (this is what i am using) however with each successive revision they have crippled it to try and stop people writing firmware for it that made it far more powerful then what you are paying for. The downside quite apart from the obvious is that even Linksys now don't seem to be able to write fully functioning software for it. At one point I thought i had bricked my V1 WRT54G and brought a replacement. The replacement was a V7 which I foolishly at first thought would be better then the V1 which had always worked faultlessly for me. What a let down. The V7 had the issue that you have. I tried all sorts including various open source firmwares and some were better but did not fix it. Also because it has so little memory you could only use the smallest software on it. In the end in desperation I took it back and exchanged it for a V5 which they still had one of in stock. That worked without dropping out but was still crippled by lack of memory. I have tried all the tricks on the Net apart from shorting out some pins as the instructions are for v5. I have tried tftp to try and flash it back to life using a firmware image but it times out. Blast down $200 but on the other hand I have learnt more about networks and my LAN than I knew three days ago!!! CON didn't work with router purchased. Bricked router. Maybe get a better router? Wireless modem???? 2 Get another cable modem installed in the other room so laptop can connect to it. It's pretty easy to de-brick a WRT54G. Lots of instructions on the net on how to do it. If it's a V5 then there is great intructions on the DD-WRT site on how to upgrade from the VXWorks firmware to the DD-WRT Micro / Mini... Personally I think the GL is the way to go as it has the Flash ram / mainboard ram to do what you want to do. And they are only $150 from Ascent, if you baught the first box off there, try and get the standard Linksys firmware back on it, and pleade with them to let you pay the extra $4 to upgrade to a GL. Don't write off the router off just yet. Suggest using the method of shorting the pins. Also give it a few goes. I had given up on mine but using the shorted pins and giving it a few goes did the trick. Think it was on the 4rd or 5th attempt that it finaly took the mini image. Can you not run a long network cable through the roof or floor as an option? However still think wireless is your answer.